Writer-director Adam Green has secretly made a fourth film in the Hatchet franchise titled Victor Crowley. Once again Kane Hodder (Friday the 13th) stars as the swamp-dwelling, supernatural killer after whom the new movie is named. The film is being described as a reboot and is set ten years after the massacre featured in the series’ first three movies. 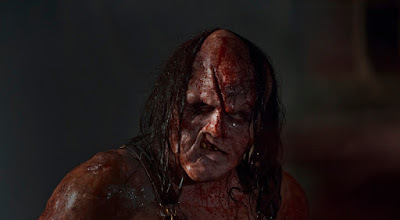 Victor Crowley costars Hatchet franchise veteran Parry Shen (Better Luck Tomorrow) as well as Laura Ortiz (Holliston), Dave Sheridan (Scary Movie), and Brian Quinn (Impractical Jokers). Victor Crowley is written and directed by Green who penned all three Hatchet films and directed the first two movies. The filmmaker’s company ArieScope Pictures has partnered with Dark Sky Films on the movie. Victor Crowley is premiering at Hollywood’s ArcLight Cinema at an event advertised as a “Hatchet 10th Anniversary Celebration.” The film is also screening at the upcoming FrightFest Festival in London. In October, Green will embark on a “Victor Crowley Road Show” during which he will introduce the film at special one-night screening events across the country. A full schedule of screenings and additional release information will follow.